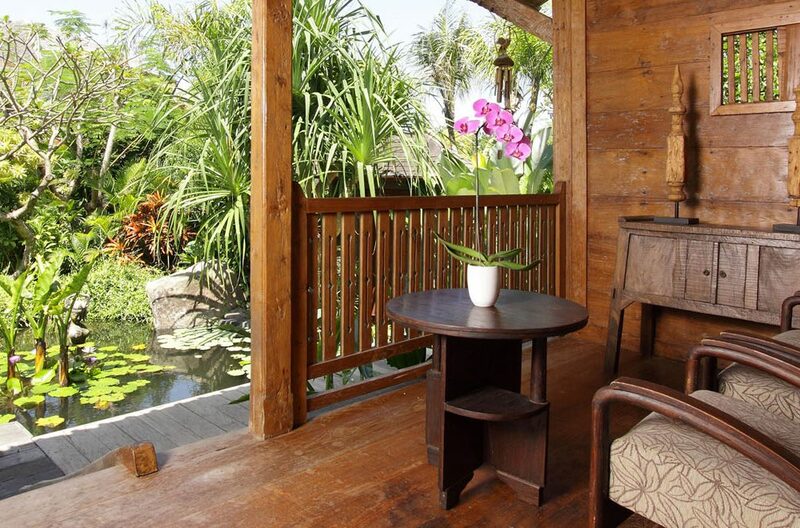 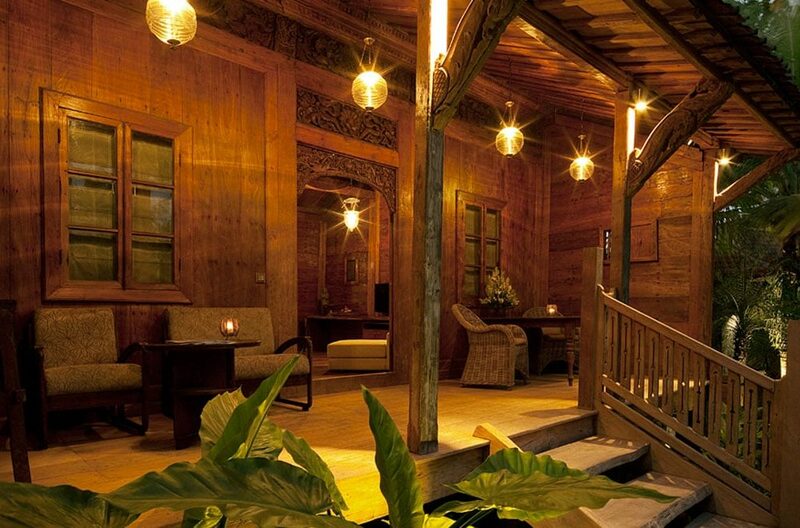 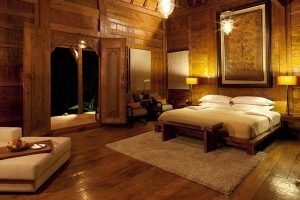 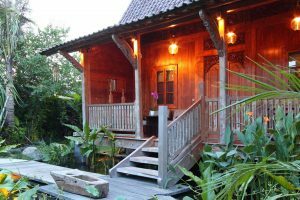 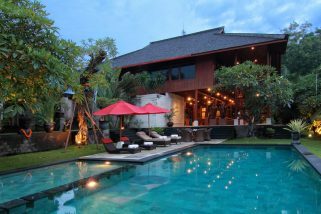 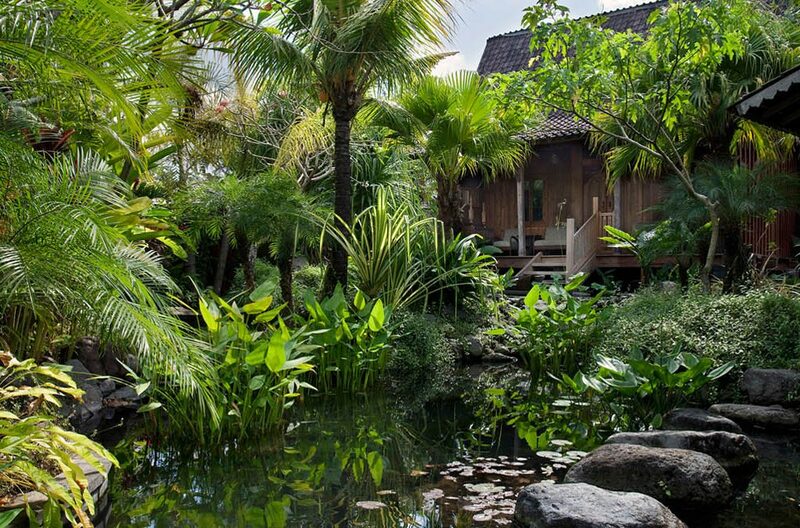 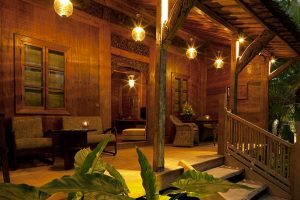 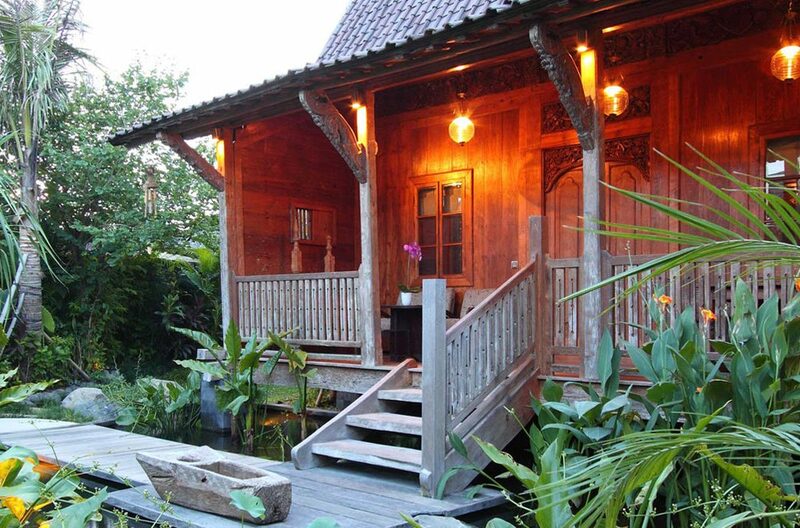 The Javanese teak wood gladak house provides a wide,furnished veranda. 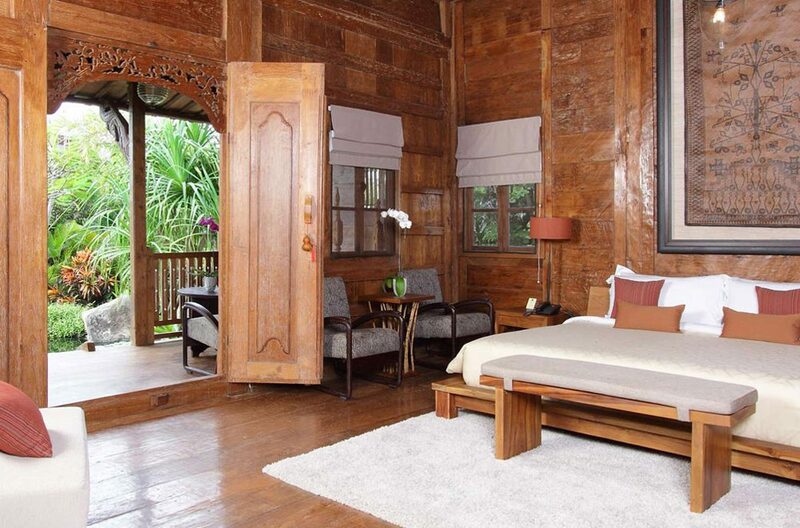 Off the bedroom a Doors lead to a small kitchenette on one side and a wardrobe and dressing area on the other. 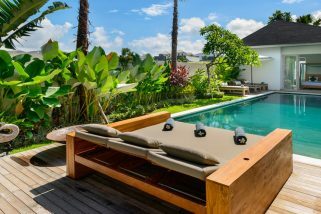 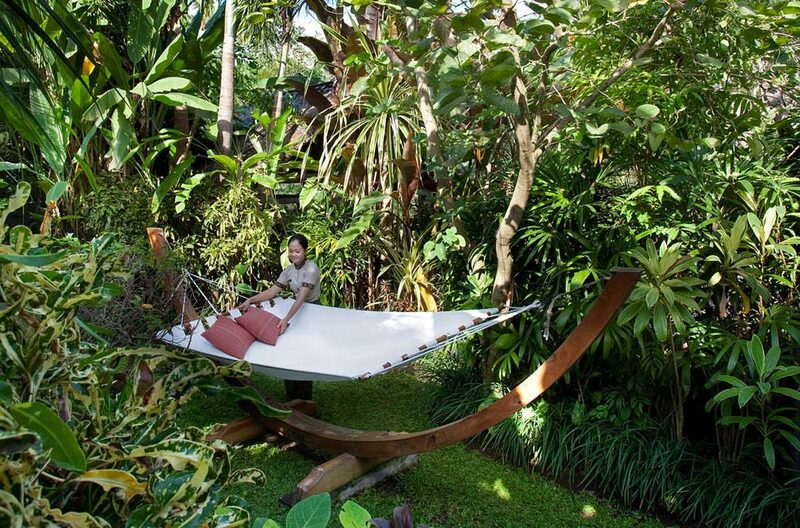 The verandah has a selection of comfortable seats and coffee tables and a large custom made hammock is perfect for an afternoon nap. 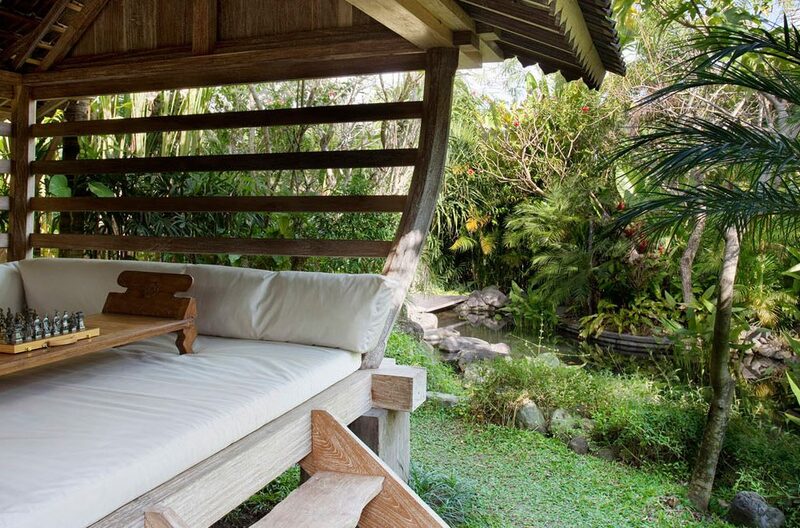 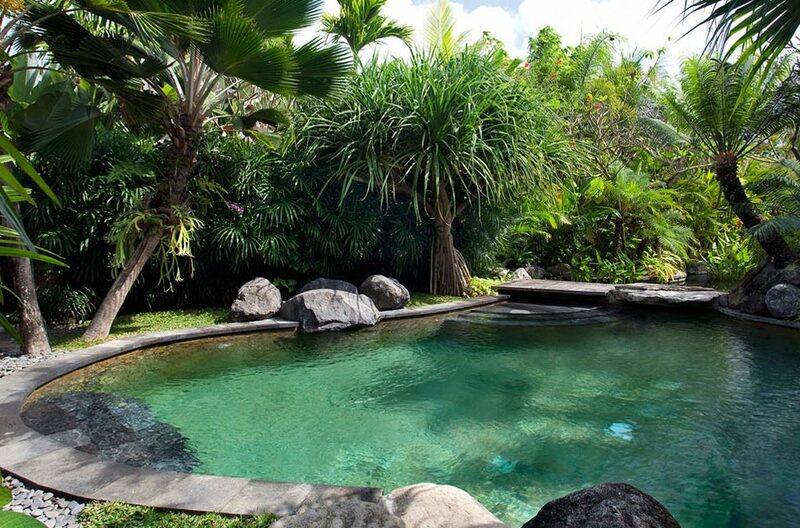 A smaller gladak which serves as a reading or breakfast room sits across the lily pond. 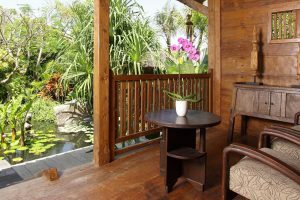 Entertainment includes cable channel TVs, DVD players in all bedrooms and iPod docks. 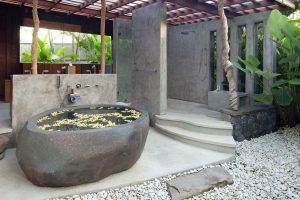 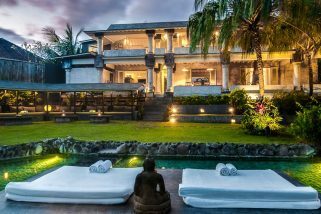 The bedroom features a sitting and TV area and the indoor/outdoor en-suite is a tropical garden bathroom featuring a large stone soaking tub and semi outdoor rain shower.